We're all familiar with the Internet (otherwise, you wouldn't be reading this blog) yet some of its users are no longer human but robot vacuum cleaners, refrigerators or window blinds. And there's even more devices connected via Bluetooth! What sounded rather futuristic 5 years ago, has become more and more of a standard among current products. The idea is that intelligent devices can better assist their human owners. As with all new developments, products range from useful to ludicrous. Here's a brief outline. In the realm of product development, some buzzwords are enough to make the mouths of even the most seasoned of marketing professionals water. Internet of things or IOT is one of those terms. After all, these products allow them to sell you many goods all over again - but this time the products are smart. At least that's what buyers tend to believe. 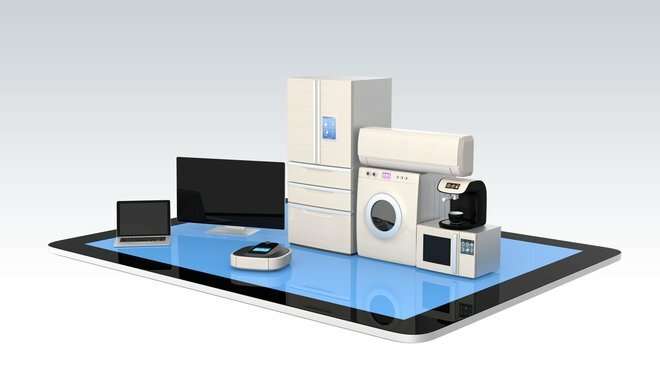 As new sensors and ever smaller (and cheaper) transmitters and receivers are being developed, both common household appliances and industry robots are becoming "smarter". The idea is that consumers will enjoy both the devices and the accompanying apps that can monitor anything from heaters to coffee makers. This is best demonstrated by smart homes. Bill Gates already owns one and many consider them to be the future also for regular consumers. Everything is remotely controllable, lights, temperatures and alarm systems. That's not all though, the house can also act and react autonomously. Lights go off as soon as you leave a room, security cameras monitor movement outside your front door and message you in case of an alert and window blinds constantly analyze the temperature and light intensity before they lower themselves automatically. The bath tub fills itself with water, on time and at just the right temperature while the washing machine pauses automatically whenever you decide to take a nap. Nice. This is supposed to save massive amounts of energy - and eventually make up for the higher initial costs. This begs the question of how much a smart device should cost and how long it must remain in operation before the greater investment is somewhat justified. Yes, some products absolutely make sense. This includes devices that measure blood sugar for diabetics and display them via an app and athletes won't want to do without their wearables (wrist bands with pulse sensors, GPS, etc. ), I can understand that. I like to check on the current location of my packages whenever I made an order and this wouldn't be possible without position tracking. In hospitals, medical devices recognize their patients and provide suitable infusions or diagnostic techniques. Many industries depend on this technology even the part of the shipping industry that merely unloads containers. But once again, development doesn't stop there and continues to extend to less reasonable use cases. Honestly, who hasn't dreamed about reading their emails on their fridge? Well, I haven't and maybe that's not exactly a top priority for most of us, but it shows what is possible today - and this feature has actually made it into mass production. Useful or not? You'll be the judge of that. You can already create shopping lists through a 21 inch touch display and send them to your smartphone. Cameras enable you to view the inside of the fridge via app and help you plan your next shopping run. Once food items come with smart labels (planning is under way), you'll be able to instantly list expired products - and reorder them automatically. It's only a matter of time and, naturally, depends on whether consumers accept the new technology or not. After all, Bill Gates and a couple of nerds aren't enough to help this technology succeed. Leaving costs and the effort it would take to adjust, program and monitor various devices aside, security is also a critical issue here. All these products depend on fairly new technology and are manufactured under immense cost pressure. Would you be willing to pay €20 more for additional features? Maybe, how about €40 for strong encryption? That's where many will draw the line. 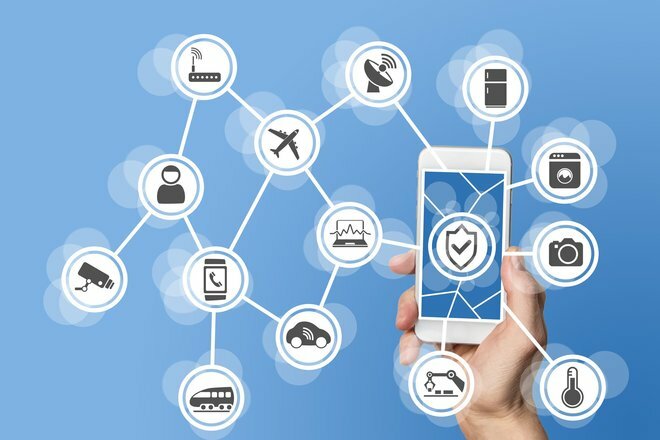 Even though they're made by multiple different companies, the devices will also have to communicate with each other - and in a secure fashion. That's not always the case as there have already been huge bot nets exclusively comprised of hacked WLAN-enabled cameras (also called IP cameras). Would you want your fridge to distribute spam mails? Hacks against medical appliances, industrial facilities, cars or toys have proven that there's a lot of catching up to do in terms of safety and security. 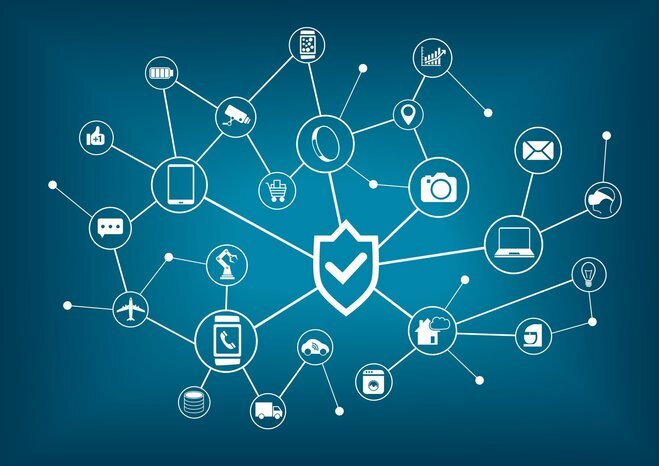 The business is young and mandatory security standards have yet to emerge. No security concept - no network access! It's not the annoying son of your neighbors that causes your radiator to act up with his laptop you should be worried about. Once criminals discover a vulnerability in an Internet-enabled product, they might be able to take over millions of them. We're not talking about computers with operating system that have seen years of development but tiny chips with minimal software footprints. The problem is that security is frequently either the last item on the developer's to-do list or the system was never designed to work as part of a large network in the first place. But whenever there's big money to be made, products are rushed to market - often lacking even rudimentary capabilities such as built-in malware checks or the ability to receive future security updates. The baby cam in your nursery may be handy but be aware that you may not be the only one watching. You don't have to become a technology skeptic to take a more critical view. If there's a true need for network access - go ahead. But does this have to include coffee makers, vacuums or my radiator? Do I really want my smartphone to become the central hub for my household appliances? Ultimately, it's going to be a struggle between marketers, security fanatics and consumers with common sense. What I would like to know: Are you already using smart devices or do you generally reject consumer products that require an online connection?